KillaJoule Electric Motorcycle Breaks Landspeed Records with help of 3D printers! Setting land speed records with help from IT-Works 3D printers. 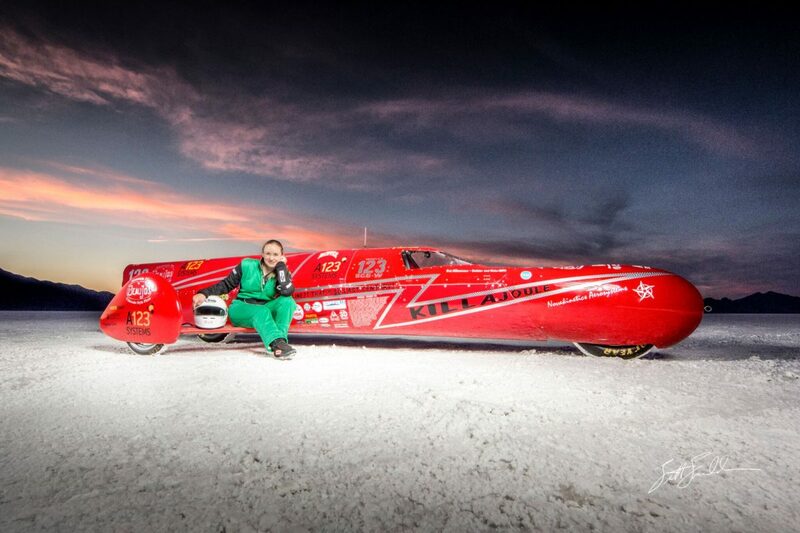 Our friend Eva Håkansson is the world’s fastest female motorcycle rider at 270 mph (434 km/h). She is a mechanical engineer and the main builder of her electric streamliner motorcycle aptly named “KillaJoule”, which also happens to be the world’s fastest electric motorcycle! Dr. Håkansson designs and prints parts using a Lulzbot 3D printer for IT-Works, and Colorado made INOVA-1800 filament! How does Eva Hakansson, builder and rider of the world’s fastest electric motorcycle the KillaJoule make holiday treats? With her Lulzbot TAZ 5 3D printer of course! Some of the chocolates have crystallized ginger, and are wonderful! The Swedish pepparkakar cookies are delicious!